His first beer story for the national press was published in 2010. He started at The Independent, where he was the first national paper journalist to write about The Kernel. Since then, he has written what may have been the only beer stories to have ever appeared in the Observer Food Monthly, contributed regularly to the Financial Times, and produced a beer column for the late, lamented Independent Magazine. He also writes for The Age and Sydney Morning Herald in Australia, Beer Advocate in the USA, and Imbibe in the UK. He writes regular travel stories for the Washington Post, generally about somewhere in the UK, France or Germany; this story about the Rhineland’s beer culture won him an award from the North American Guild of Beer Writers. He also writes for British travel sections, including this story about beer travel for the Daily Telegraph, about bratwurst in Nuremberg for the Financial Times, and about Kuala Lumpur’s fabulous street-food for the Independent. From fish and chips in London to a classic Paris bistro, Hawkes has written a diverse range of largely Europe-based food stories. He often writes about what’s happening in London for overseas newspapers: the Aussies behind the capital’s finest butchers shop, for example, or the vegetarian chef redefining British food, or even the rise of Poutine in the UK. He contributes regularly to the magazines run by Marriott Hotels and Indigo Hotels. 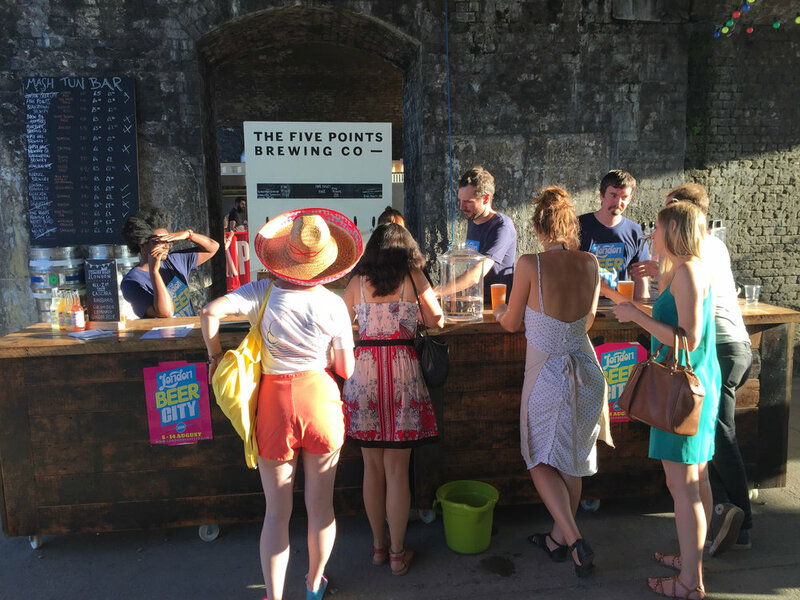 From 2014, Hawkes ran London Beer City, a week-long celebration of the capital’s beer culture that took in 100+ events at bars and pubs around town. He was also the author of Craft Beer London, an app and book that came out in 2012 and subsequently played a crucial role in the growth of craft beer in this city. He has written another book, Liquid Education: Beer. Hawkes is also a copywriter, having worked for everyone from Uber to Fuller’s Brewery.